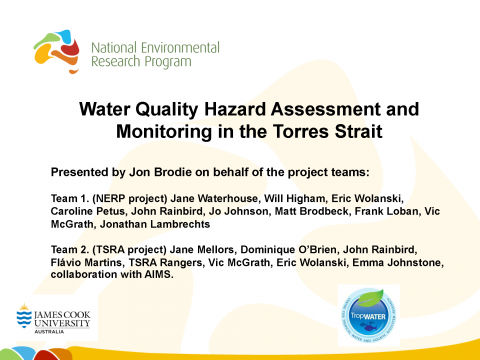 Jon Brodie (JCU); Water quality hazard assessment and monitoring in the Torres Strait; 5th November 2014. 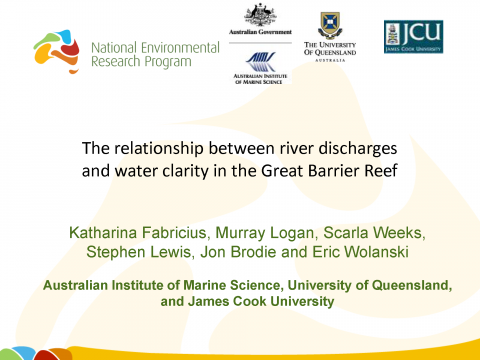 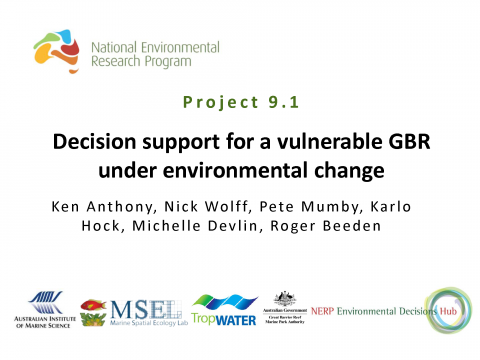 Jon Brodie (JCU); The relationship between river discharges and water clarity in the Great Barrier Reef; Thursday 6th November. 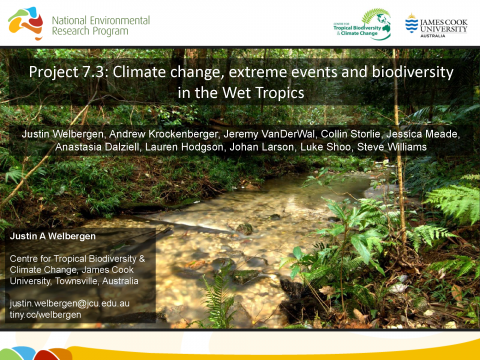 Justin Welbergen (JCU); Climate change, extreme events and biodiversity in the Wet Tropics; Thursday 6th November. 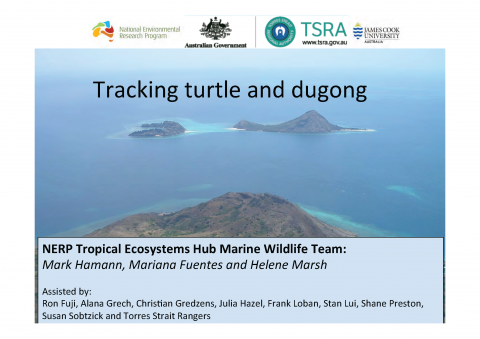 Mark Hamann, Mariana Fuentes (JCU), Helene Marsh (JCU); Tracking turtle and dugong. 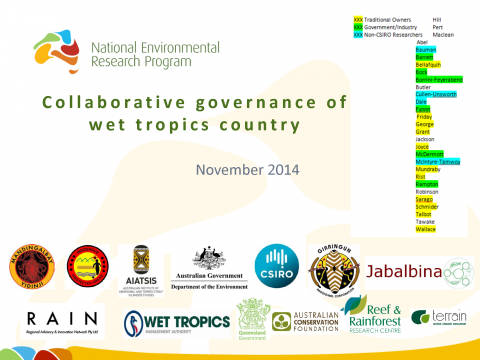 Wednesday 5th November. 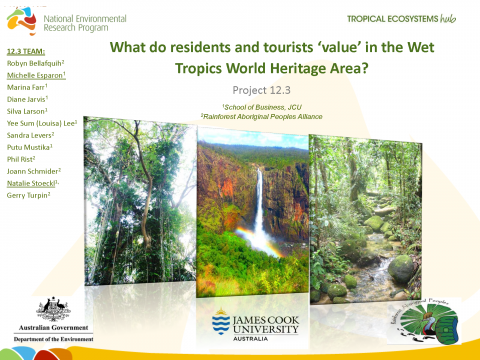 Michelle Esparon (JCU); What do residents and tourists 'value' in the Wet Tropics World Heritage Area? 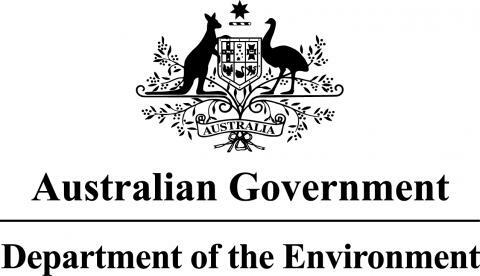 ; Thursday 6th November. 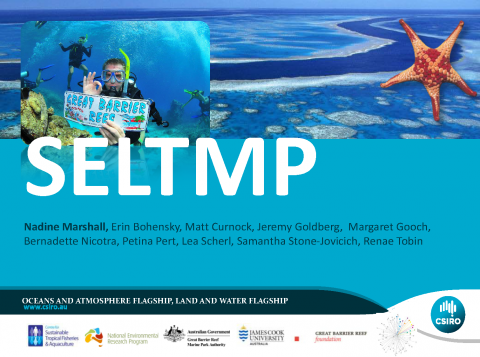 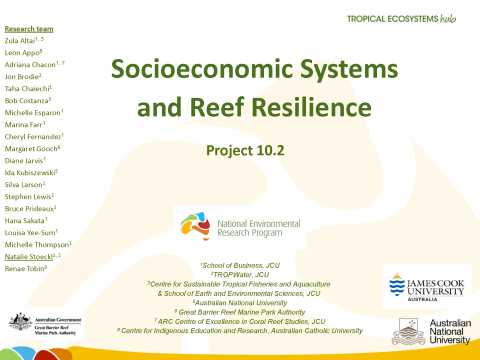 Nadine Marshall (CSIRO); Social and Economic Long-Term Monitoring Program (SELTMP); Wednesday 5th November. 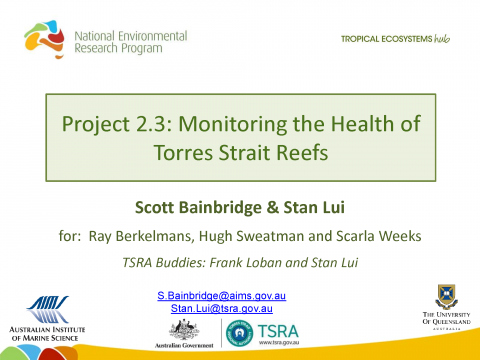 Scott Bainbridge (AIMS), Stan Lui (TSRA); Monitoring the Health of Torres Strait Reefs; Wednesday 5th November 2014.